There’s a shift occurring in the Computing Industry. 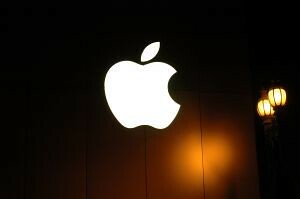 A recent report out of mac.co.uk states that Apple is driving a “transformational” shift in PC sales. Somewhere up to 30% of people that are going to purchase a laptop in the next 90 days want to buy a MacBook. I think we shouldn’t get caught up in predictions, but it is an interesting statistic. If I were going to buy a laptop in the next 90 days I would want to purchase a MacBook. I’m not looking to buy a laptop though, I’m sticking with my thinkpad that continues to chug along. The reason I feel people are being drawn to Apple products is because the platform is independent. Just about everything I do now is via the Web. I’m not stuck to Windows to do any of my daily tasks. Sure there are going to be products that I could not use on a Mac and vice versa there are products I could not use on Windows. I think this is where Apple is making up the most ground. They are focused on their customers’ needs and wants. You are going to pay a hefty price, but you will be satisfied. Apple gets it, maybe just Steve Jobs. The other part of Apple’s success lies in the fact that their products are hot right now. I’ll be honest, I think the MacBooks look really nice in white and black. They are simplistic and are easy on the eye. I think Dell is trying to come out with different colored laptops, which looks nice, but it might be a little late in the game. The “operating system scene” has really turned into a three horse race: Windows, MacOS, and Linux. It is a race that doesn’t really matter, because we are finding out that locking into one OS is bad for business. I love Ubuntu and I’m apart of the doubling of the Linux desktop in the past year. It doesn’t matter, the platform is moot when everything is on the Web. This is what is driving Web 2.0. While reading your post on my MacBook I realized that you nailed it. All my collaboration is done using web-based platforms. My corporate clients still use some Windows-based proprietary software. If I have to get involved in that arena, I’ve got Parallels loaded on here. The simplicity and elegance of the Apple stuff is a sensory pleasure. Viruses are really a non-issue. And for anyone doing website development or graphics work, it’s a no-brainer. Having said that, I keep an old Windows laptop in a drawer just in case. In case of what? Heck, I don’t know. But i’m addicted to technology, too. I will be replacing my 4 year old Dell with a new iMac with Leopard. There was a time when programs were only for windows. But now if a software company doesn’t make a mac version, they are loosing out on a lot of customers.